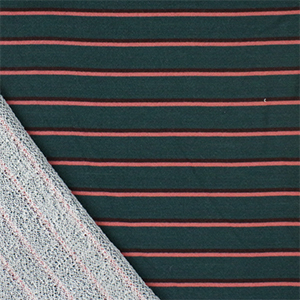 A preppy look french terry knit in hunter green with a coral pink and dark chocolate brown small stripes. 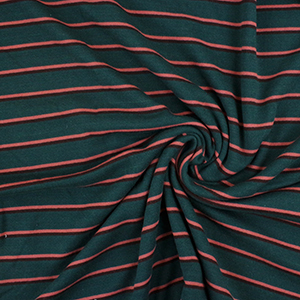 Medium to heavy weight with a smooth top surface, medium bottom loop pile, soft hand, and small stretch. 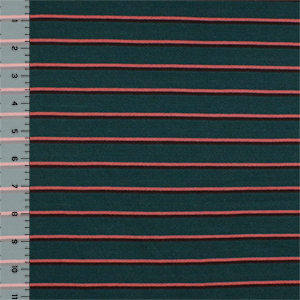 Stripes repeat every 1"+ (see image for scale).